Have you ever played a Slot with 117,649 ways to win? I bet you haven't! 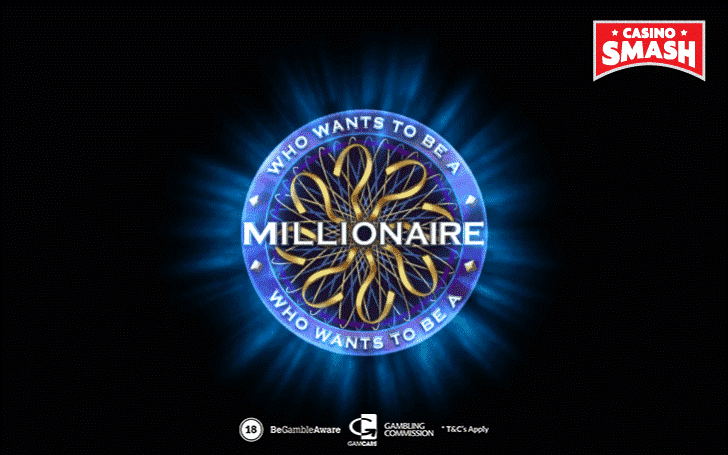 Why play the Who Wants to Be a Millionaire online game? If your wish to participate in the game show Who Wants to Be a Millionaire never became a reality, I have good news for you. Because Big Time Gaming created a fun online game by the same name, and it rocks. More precisely, it’s a six-reel video Slot with a good soundtrack, creative bonuses, and a super fast gameplay. 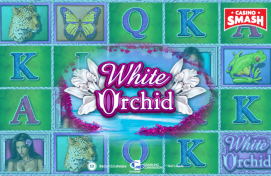 You can try it out at this online Casino - or read our review first. This is the easiest Slot you’ll ever play. You don’t need to choose the coin size, the paylines, nor the number of coins per line. All you have to do is to choose your bet per spin, and you’re done. Simply click the green arrows to do that. 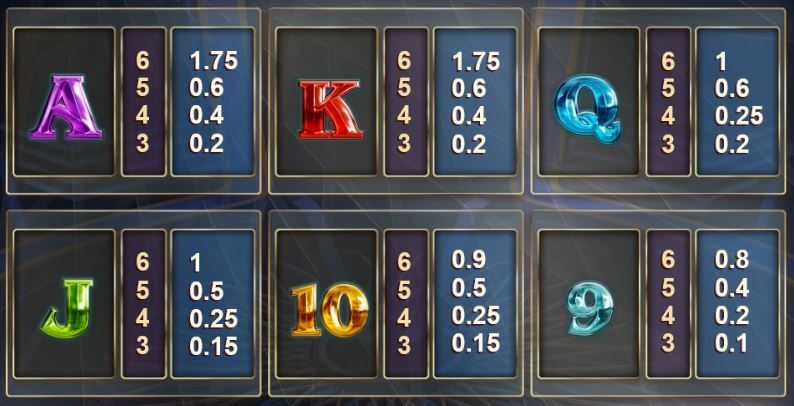 You can bet from €0.20 to €10 per spin, and these are quite reasonable amounts for both low and high-rollers. Now, here’s how you win on How to Be a Millionaire online game. 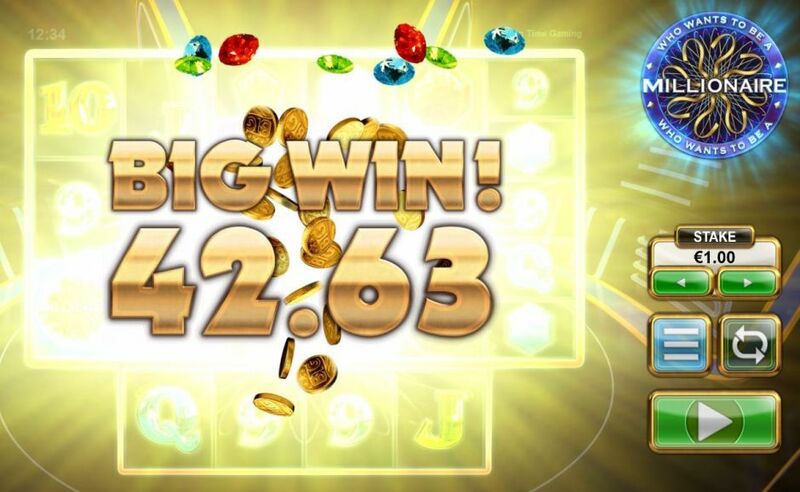 During every spin, you get a random number of ways to win, which can go as high as 117,649. Wow. Then, when you get a lucky combination, the lucky symbols explode, and new ones appear in their place. For this reason, this Slot machine reminds me of other online real money games like Da Vinci Diamonds or Gonzo’s Quest - which are among my favorites. You can also see an extra reel below the main grid of the game. Because it adds extra symbols for more winning combinations, which makes the Slot even more exciting. All the winning combinations per spin are added together, so you’ll get paid for every single combo you land. 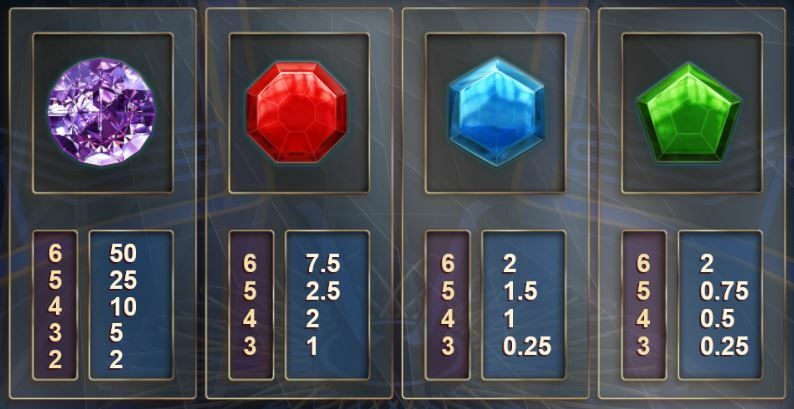 Speaking of which, the card symbols will pay you from 0.1 to 1.75, while the gems can offer you from 0.25 to 50. However, the Wild doesn’t pay on its own - it can only replace other symbols (except the Scatter). So far, Who Wants to Be a Millionaire looks like your typical video Slot. Is it true? This game has a special bonus that will make you feel as if you star in the infamous TV show, and it’s the Free Spins Feature. As soon as you land at least three Scatter symbols, you get eight free spins. You can either take these spins and use them, or...you can trigger the Hot Seat Free Spins Gamble feature. If you choose to gamble, the Slot will open a new mini game where you can either win more free spins...or lose them all. In case you want to try your luck and go for more spins (up to 50! ), then choose your answer (A, B, C, or D) and face the consequences. However, keep in mind that they don’t always work as intended. I chose to phone a friend, and got told that there’s a 60 percent chance that the correct answer was D.
Thankfully, there are two rungs in the game that secure at least some of your free spins - you can call them your safety nets. If you reach the second rung, you still get 10 free spins to keep. And the seventh rung lets you keep 20 free spins. By the way, you get an unlimited win multiplier during free spins. Which means that after each avalanche, your next win will get a +1 multiplier. 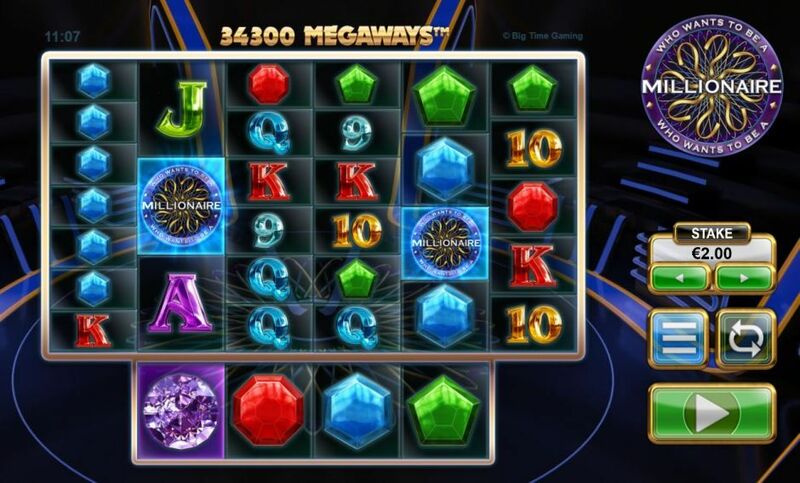 Lastly, you can retrigger the free spins if you manage to collect three or four Scatters during the bonus games. This way, the game can give you up to eight extra spin at the time. 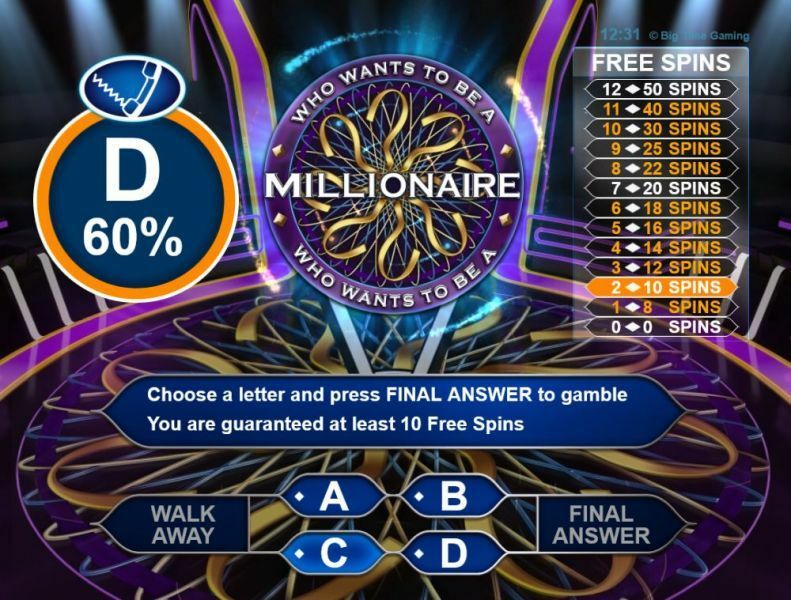 Even though Who Wants to Be a Millionaire Online game doesn’t include any trivia quizzes, it offers you the chance to win cash prizes - just like the original game. Also, the bonus features here are superb - I’ve never seen such a creative approach to free spins in a Slot. If this review sparked your curiosity, play this Slot for free online HERE or try out your luck and bet real money.